I feel it is very important to teach my son a love of reading. My mom always emphasized a love of reading and I am forever grateful to her for it. She read to us, took us to libraries, bookstores to meet authors and on one occasion we all met King Babar. Now as a mom I want to expose my son to the love of reading and all the fun adventures books can provide. Each time I read to my son I know he is learning but he is also spending time with me and usually sits quietly when I read, that is one of the parts I love the most. He and I just sitting together, paying only attention to the moment and really spending quality time together. I reviewed a few books from different companies for this event and I want to thank my sponsors for the great giveaways the have provided. I look forward to discovering new knowledge and traveling to new places through the new books we will read in the next year. 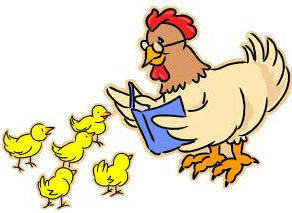 What is your favorite book you read as a child that you now love to read to your children or grandchildren?